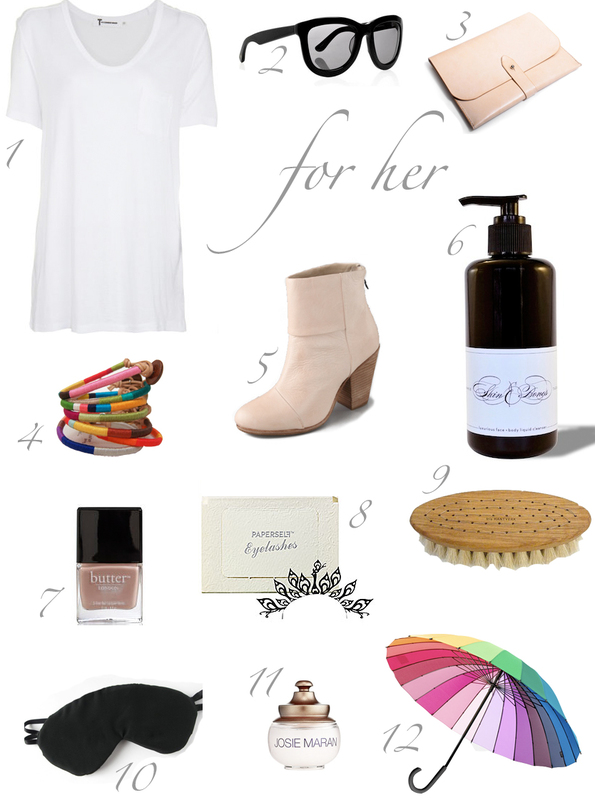 Gift Guide 2011: For Her, the basics | Ooh, my favorite! The holidays are a great time to give the gift of basics! I’m talking about our go-to pieces: the ones we use most, the foundations of our style and routine. Often times these basics are the things we most long for, but getting them (for ourselves) can sometimes seem indulgent so they are easily swept aside or compromised. Investing in a silky-soft tee, a stand-out umbrella, or specialty skin care products shouldn’t be hard…but it is. This is precisely why going basic will help you shine this year. Trust me, she’ll love you for it. I want them all! Darn you!